And what makes this all the more funny, but actually pathetically sad is that we fall for it all. So, if you feel the need to sweat – not to worry, as Big Telecom and your loving government rolls out 5G – so that you can download modern day ugliness faster than barfing up a GMO-laced taco – blanketing your bodies with high levels of radiation that your sweat ducts can’t handle. The dump of geo-engineering of the weather that hardly a soul notices because they can’t take their gaze away from their dumb-phone long enough to look up into the skies to witness the goo of f**kery seeping into their lungs, their bodies, their brains – contributes as well. And yes, you guessed it – it’s all brought to you and your loved ones by your oh-so-caring government. But don’t worry – breathe it all in and embrace it – for with it all, your political ideas will no longer matter. Identity politics won’t matter either. Whether you subscribe to gender identities – believe in Santa Claus, want to be a man today, a woman tomorrow or a goat the day after, won’t matter. All your pet peeves will be neatly turned to dust and whether you subscribe to the insanity of CNN, MSNBC or FOX or any other corporate media in between won’t matter. Your programming will be complete, your health destroyed, but at least you’ll be able to ride along in your self-driving car, with its own smart meter included – frantically pounding on your dumb phone, or instructing the self-driving car to get you to nearest medical facility in the hopes that they have a chemically-laced vaccine to save your life…the joke’s on you – they don’t. And if you’re a bit into the “woo-woo” of the universe’s gifts, maybe believe that God, Mother Earth, or the committee of dolphins who created this wonder of Earth provided ways to protect ourselves from wifi, radiation, along with providing a bounty of other benefits – your inquisitiveness just might lead you to the following website – cosmicreality.net. I have no affiliation with them – providing their website, products offered and information as a means to explore ways to assist in the well-being of your body, mind and soul – if you so choose. 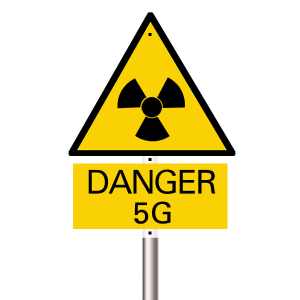 But be advised, there is nothing that will protect us from 5G – the military’s microwave weapon, nothing other than our efforts to stop this insanity.